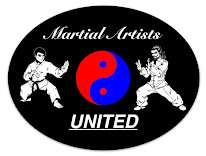 Martial Artists United: BJJ Drama! BJJ people need to mind their own business and work on their art or training or whatever. Majority of BJJ practitioners need to work on their personal development and throw the belief of being superior amongst everyone else and viewing everyone else as inferiors out their system. From what I heard about BJJ, the founder only wanted it to make it effective in self defence, as effective as the other arts, because back then BJJ was looked down and it wasn't popular as karate. I don't think the true intention of the founder was to make it the "best" - meaning making it above all arts and making all arts useless compare to it, because that is ignorant and is not what a true master and founder of his art is. One of the masters or I think the founder himself challenged martial artists of different discipline in a sparring match to show that BJJ is not ineffective. I'm sure people (traditional martial arts practitioners) have a problem w/ BJJ and MMA fighter, and that is correct because of their over-confidence display. But there are a minor group of individual that do label themselves as BJJ and MMA fighters that are humble and way beyond these mainstream fighters. There is no such thing as the the most effective method of fighting or combat. Everything has it's limitation. The method or technique is not what matters, what matters is the individual. I'm sure that the founder or master that was dominating the sparring challenge was not because of his method, but because of himself and his hard work and determination. I don't want to criticise by saying that all MMA fighters and BJJ practitioners are arrogant knuckle heads because that is just ignorant. It's like saying all Muslisms are terrorists, all asians are bad drivers, all blacks are thugs all whites are racist and the lists goes on. Screw Holywood and screw the majority of BJJ practitioners that think they are badass because of their "art". Thanks for your amazing comment man! I agree with everything you said, espesially the part about these BJJ people needing to get back to the absorlute basics;such as humility and integraty. Masters such as Wong Kiew Kit, and practioners like myself consider moral purity to be a prerequisite for any combative trainng. I love your last sentence here. It pretty much summerises what practicing Martial Art, regardless of system, is all about in essance. Pretty interesting stuff, form what I read it seems like this BJJ practitioners think they own the ground fighting. When in reality ground fighting has been there for a long time, and definitely for people interested in learning real self defense one has to take in consideration methods of ground fighting designed for the streets, weapons and multiple assailants. I think that there are several practitioners of BJJ who are humble, it's mostly the gracies who I feel have this air of superiority, they infact say that BJJ is the best martial art, and that everyone, whether you are a cop, a soldier, a marine, and civilian should learn BJJ for self defense, which in my opinion is absolutely ridiculous, there have been many other systems designed by true experts in real combat and warfare that have been tested and proven effective. The only reason why I would learn anything BJJ related (infact I attended a BJJ school for awhile) is to have a deeper understanding of their techniques and how they think, that's what bruce lee sort of did, he studied several martial arts to know their strengths and weaknesses so that he knows how to counter them in case a confrontation occurred. Imo with the increasing popularity of MMA (basically MMA is muay thai, BJJ wrestling and some boxing), people assume that that's how you really fight in the streets, but even MMA proffesional fighters have been shown to be noneffective in real combat as I remember a case where a professional ufc fighter touched a girl inappropriately at a store and he was with another ufc friend, next thing you know four guys come rushing in, and start a fight, ufc fighters go outside and get knocked out with sticks. Of course a professional fighter who trains eight hours a day has far more of a chance at surviving a real street fight, than an average person. But anyways I digress.It's interesting you had this experience and where able to meet other people who train in combat from a different perspective than yours, and you were able to see the differences between different schools of martial art, also I think it's cool they do some sort of wrestling drills and seems to want to keep the real art of TKD alive, where I live it's mostly about competition and point sparring and honestly, it's lame. That's not martial arts.